Can't Have a Gas Grill? Char-Broil Patio Bistro Infrared Electric Grill Model # 10601578. Charbroil LLC. Can't have a gas or charcoal grill where you live? This might be the solution for you. The Char-Broil Patio Bistro Electric Grill is one of the largest electric grills on the market. Of course, it is still small enough to fit on most balconies but gives you enough space to comfortably cook for four people. The 1,750-watt heating element produces a good amount of heat for the size so you will be able to grill most everything that fits under the lid. The overall construction of this grill is a little lightweight so it will need some care to keep it looking and working well. If you have a small patio or live where you are not allowed the use of a gas or charcoal, then this might be the grill for you. With a small footprint, this grill won't take up a lot of space. Of course, that gives you only 240 square inches of grilling space. This is certainly not like a full-sized grill but large enough to do some real grilling. What you get with this grill is a unit you can put almost anywhere (provided there is an electrical outlet nearby) but that won't do a lot beyond basic grilling. As an electric grill, it has its limitations. The heat is high but you won't get the intense searing capability you would with a charcoal or even many gas grills. Also, you won't get that authentic grill flavor, although you can place wood chips in this grill to produce smoke. 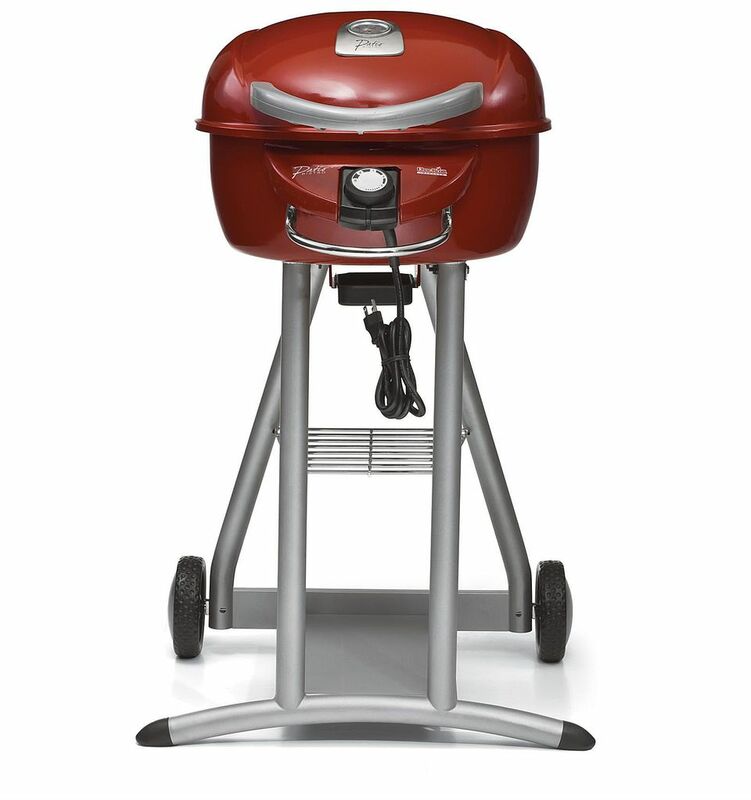 This grill runs on a standard 110-volt outlet and has a 1,750-watt heat element. This is close to as high as you can go with a standard outlet. It is difficult to generate good grilling temperatures at this voltage on an electric grill, but the design of this unit does a lot to focus the heat it does generate at the food you are cooking. Char-Broil labels this as an "infrared" grill. This is something of a misnomer. All electric grills are infrared, just as the broiler in your oven is. The special grate inside this grill isn't there to make the grill infrared, it is there to protect the heating element and reduce the risk of flare-ups. The grill uses a single porcelain coated cooking grate. The construction is powder coated steel. The metal used for this grill is thin and a little flimsy. You will need to be careful not to dent or knock this grill over as it can be easily damaged. Also, some have reported that the holes drilled in this grill may not line up correctly when you assemble it. Try buying an already assembled unit or you might have to do a little extra work to get it together.